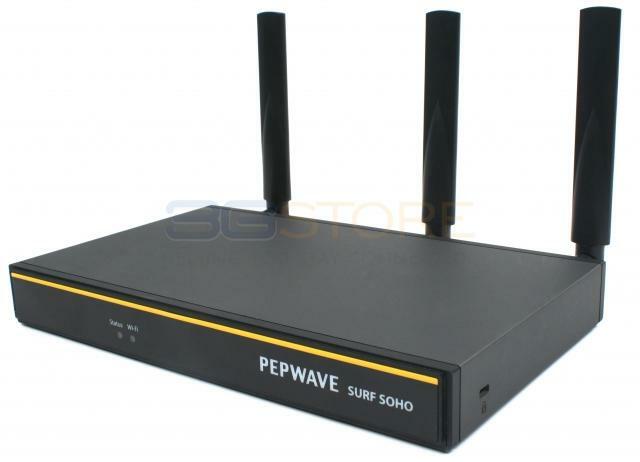 Congrats to Michael B. of Tucson, Arizona who just won a $25.00 Restaurant.com gift code for writing a review for Pepwave Surf SOHO MK3 Router with 802.11ac WiFi Hardware Revision 3 at 3Gstore.com! Every week we randomly pick one product review from the previous week and award the writer a $25.00 gift code. We appreciate ALL the reviews our customers write, whether they are positive or negative - honest reviews like Michael B.\'s help other customers decide if the product is right for them. After you purchase a product from 3Gstore.com, we encourage you to log in and 3Gstore.com and leave a review letting people know how the product worked for you - you'll be helping others, and you'll automatically be entered to win a restaurant.com gift code!. It is easy to setup and just works great. I was shopping online for a router that would allow me to connect my Verizon unlimited data to my home network and found this one. I watched some videos and decided this was the one I wanted to get. The price was right and the shipping was extremely fast. I haven't needed them but I know the support people on the staff at 3gstore could and would be able to talk me through any problems I might encounter. I purchased the extended warranty at the time of purchase and know this router will serve me for years to come.